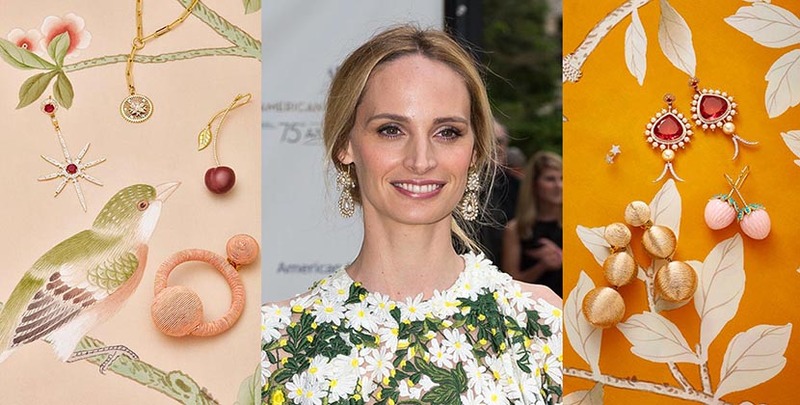 At the dawn of the luxury e-commerce era, around 2010 to be exact, Lauren Santo Domingo co-founded Moda Operandi. At first the site was the only destination on the web, or anywhere for that matter, where shoppers could pre-order clothes right after they appeared on runways during fashion weeks. Over the last several years, it has expanded to include in-season attire and accessories as well as glamorous bricks and mortar by-appointment only boutiques in New York and London. Fine jewelry has been available on Moda from the beginning, but this year the offering has expanded exponentially. Moda went live at the Couture jewelry show, serving up collections as they were presented by designers. It has also featured any number of fine jewelry firsts, like the debut of super deluxe pieces from Martin Katz and Reza online. 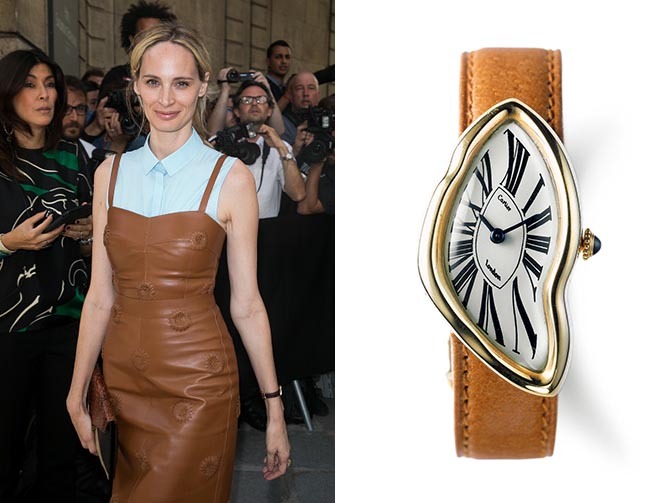 A long running member of Vanity Fair’s Best Dressed List, Lauren Santo Domingo’s seasonal selects, a category dubbed Lauren’s Closet, has been a popular source of inspiration for shopping on Moda for eons. 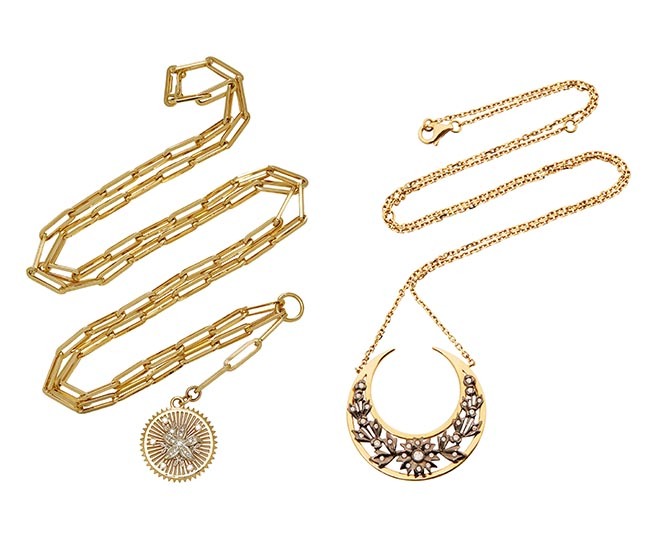 Now with the expanded jewelry presentation, Lauren has created her first jewelry wish list. As part of the launch of LSD’s Jewel Box, Lauren graciously agreed to answer all my questions about her jewelry style. You are famous for your polished and feminine style. Generally, how does jewelry work into your daytime looks? Thank you! I never want to look overdone or intimidating so I take a minimalist approach when putting on jewelry for daytime dressing. I have a Cartier Crash watch and my Buccellati diamond wedding band and a simple gold Tiffany wedding band. These pieces I wear every day. For evening, I remove the watch and wear a great pair of earrings. Earrings are my go-to. I can never say no to a pair of gold hoop earrings. At the MET Gala, your jewelry is always exceptional and often surprising. The JAR rose necklace you wore in 2014 has a cult following online. The way you layered girandole earrings with the antique necklace and Proenza Schouler choker at this year’s event was amazing. What’s your approach to jewelry in the evening? I believe in calculated risks. If it looks great, go for it. The secret to pulling off a big gown is eye-catching, gorgeous jewels, but it should complement what I’m wearing and not overpower the look. I also find that piling on pieces helps create dimension to an otherwise boring look. I like the mix of high and low, new and old. I’m also somewhat inspired by old master paintings. The subjects often wore all their jewels for their sittings and I love how it looks. 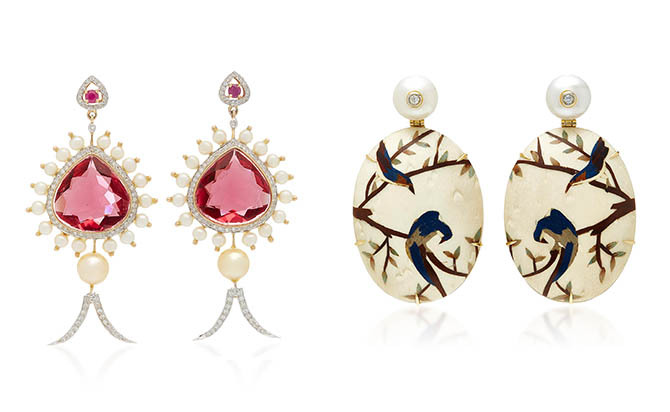 Your jewel box selects for Moda Operandi feature an amazing array of emerging talent. What is it that attracted you to designers like, say Hanut Singh and Silvia Furmanovich? Just like our Moda clients, I’m obsessed with finding the most unique pieces that you cannot find anywhere else. I turn to emerging designers that experiment and showcase newness. I love that element of discovery. I also love to discover one-of-a-kind pieces from existing heritage brands. I also think of what jewels will go with my favorites designers—a wild dress from Mary Katrantzou requires a certain modern earring, where a modern conceptual dress from Loewe calls for something more sculptural. 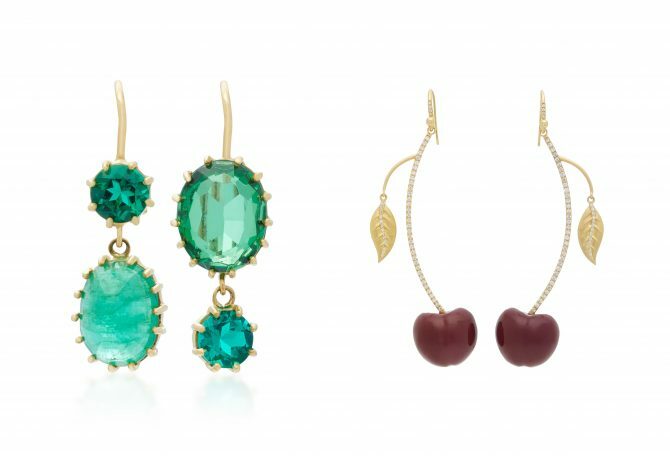 There are lots of amazing pendant earrings in your selects. What do you like about pendant earrings? There is an ease about them that can make you look so polished. They aren’t too overdone, and easily add a pop of sparkle with my hair tucked behind my ear. I also think a wave in the hair requires an earring. Otherwise my ears feel bare, and we can’t have that. Another silhouette that appears a few times in your selects is pendant necklaces with talismans or charms like the pieces from Foundrae and Yvonne Leon. What is that you like about this style? Pendant necklaces are a distinct yet versatile piece of jewelry. They’re so easy to wear whether it’s solo for a more focused look or layered to add dimension. I also like to make wishes, so when the clasp falls to the front I superstitiously make a wish! If someone was looking to pick one investment piece from the collection what would you recommend? A gold chain necklace. Antique, new, oversized it’s the blue jean of jewelry. Some people are still reticent about buying fine jewelry online. Why do you think it has been so successful with Moda Operandi’s clients? When we plan a fine jewelry trunkshow, we want the customer to feel like they are feeling and seeing the overall aesthetic of the brand as if it were in person. With that, we ensure that we style every piece so customers can get the full look in a stylized way, and we include in-depth product descriptions so they’re aware of all the details.